Listed for you are the 10 best weed vaporizer units we have found. DopeBoo asked us again to pick our favorite top 10 cannabis vaporizers from their site and here they are for you. Handheld portable cannabis vaporizers are a trend that is growing fast due to it being a safer alternative to smoking, getting a better flavor of the herb, being very discreet to use and carry. 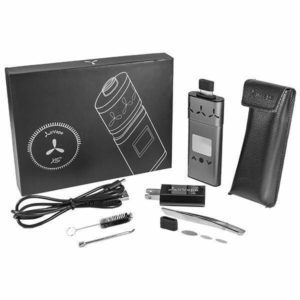 All of these hand held best weed vaporizers come complete with all of the necessary accessories for vaping cannabis. They will have a USB charger, battery pack (Mod), removable mouth pieces, herb chambers and cleaning tools too. They are all ready to load and use when it is delivered to you, although you may have to charge the battery for an hour or so. So read on and see which of these ten best weed vaporizer units works for your lifestyle. Note **This is just a general overview of the features of the vaporizers on DopeBoo and not intended to be a unbiased scientific review. 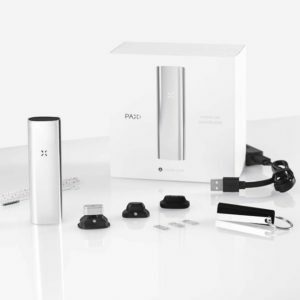 Pax 3 Vaporizer - This is the best weed vaporizer on the market. Now a dual function PAX at last! The new 3rd generation PAX works for both dry herbs and extracts giving you the option to vape all the things you want. This vaporizer comes complete with all the tools you need. Pick the color that you like best (we prefer the gold), with one-button activation, a green LED light, subtle vibration when pressed this unit delivers vapor in under 22 seconds. That works out to half the time of the previous model and makes it the fastest in the vaporizer industry. Powered by an impressive 3500 mAh battery every charge will yield you 8 to 10 solid vaping sessions. 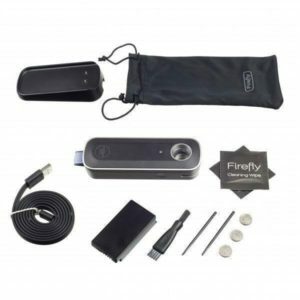 The Firefly 2 - This great little vaporizer is one of the best weed vaporizer for vaping herb and concentrates. The Firefly 2 has been called the “iPhone of Vaporizers.” This vaporizer will turn your favorite dry herb and concentrate into a tasty think vapor. With a filtered mouthpiece and superior borosilicate glass pathway this is easy to clean. The unit can get to an whopping 400°F in 3 seconds or less. The Firefly 2 also has innovative touch sensor buttons that start the heating coils. You can also adjust temperature and touch sensor preferences with the smartphone app. For a final user-friendly touch, the Firefly 2 includes a cradled USB 3.0 charger with a quick 45 minute recharge time and all the tools to clean it. With a limited two-year warranty this is a great deal. FOB Vaporizer from Vaped - This very discreet vaporizer designed to look like your normal car FOB, is from the great people at Vaped. This is a fully functioning herb vaporizer with temperature settings from 360° - 420°F. Click this on to your car keys and no one will know. 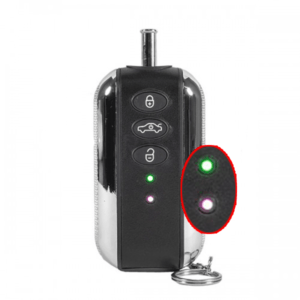 With an easy to load durable stainless steel chamber, strong magnetic lid, a silicone & stainless steel mouthpiece and the controls are disguised as your usual car key buttons! This vaporizer is also backed with a one-year manufacturer’s warranty. 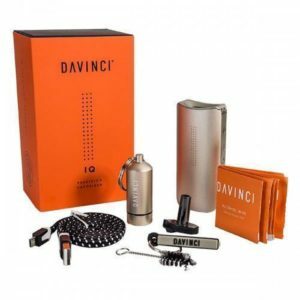 DaVinici IQ Vaporizer - This is the elite of the elite when it comes to vaporizers. The DaVinici IQ is a wonderful piece of tech. This unit is one of the most intelligent vaporizers on the market. Unrestricted airway gives little resistance for huge hits. The DaVinici IQ pulls the vapor through a 100% ceramic zirconia pathway making for some of the best tasting hits. A tasteful LED light display tells you the temperature and various preset modes. This unit also has a smartphone Android/OS app. It has the easiest to load dry herb chambers, the top lid to flips open showing you a deep heating chamber that is sloped at the top so you don't spill any herb. This is a quick heating unit, it can make huge clouds in 16 seconds. 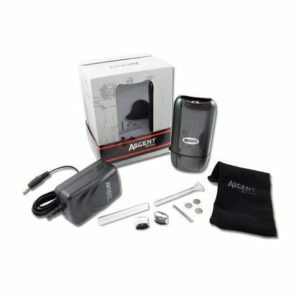 Storz & Bickel Crafty - This amazing best weed vaporizer from the experts at Storz & Bickel turns your favorite strains and liquid concentrates into huge tasty hits of vapor. This compact vapor unit features a HUGE herb chamber, smart phone app to precisely adjust heating temps, charger, cleaning tools and a grinder! 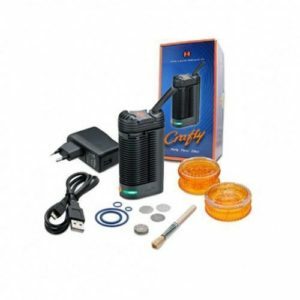 The Crafty is a great dual purpose vaporizer that is well worth the price. With the limited 2 year warranty you can't go wrong picking up this unit from DopeBoo. The AirVape XS - This very thin and discreet portable vape has a life time warranty! The AirVape XS features a luxurious leather sleeve, a versatile USB charger with a wall adapter, advanced digital temperature control, glass mouth piece, very long battery life, easy to clean deep ceramic herb chamber and a very strong solid steel shell that doesn't bend or break when in your pocket. This unit also communicates to you through vibration, letting you know when its ready to hit or about to auto shut off. Each piece can be customized with your choice between Mystic Grey, Rose Gold, Red Gold, and Midnight Blue. With a lifetime warranty this is one vaporizer every backpacker or outdoors person needs. DaVinci Ascent Vaporizer - This is the original Davinci unit, the one that started it all for this great company. The Ascent has been the long time "go to" for vaping dry herb. This dual purpose unit vapes oil and is the best dry herb vaporizer on the market. It features a pure glass pathway from heating chamber to mouthpiece, two glass mouthpiece stems, two glass oil jars, two internal glass stems, a metal pick, 3-hour batteries with wall charger, and a lightweight sleeve. 7th Floor SideKick - This masterpiece of vaporizer design is made in our home town of Colorado Springs by Elv8, the makers of the Silver Surfer table top vape. We have visited the facilities many times and they make a top notch product by excellent craftsmen. This dual purpose vaporizer does herb and oil excellently. 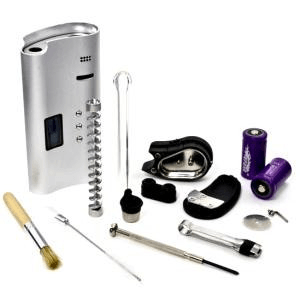 It features a hand-blown glass mouthpiece, 4 x rechargeable 18350 Li-ion batteries, wall charger, cleaning brush, small phillips screwdriver, stainless steel oil can, silicone wax container and a travel bag. This unit comes with a whopping 7 year manufacturer’s warranty. Micro Vaped Nano V4 - This little power house is another very discreet cannabis vaporizer as it looks and is the size of a pen. The Nano V4 is a great unit to carry everywhere. This unit only vapes concentrates, but it does it better then any of the rest. It features natural dual quartz rods, titanium coils, 510-threaded charger, a metal loading tool. Maud-Dib - The new Magic Flight box is here, Muad-Dib (pronounced maw-deeb) is a concentrate box that contains everything you need to vaporize concentrates and oils. This is a great weed vaporizer. 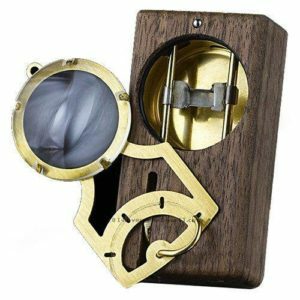 This great little vaporizer features a brushed brass lid, an optical grade glass lens, and a brass bowl insert, 1.5 ft black silicone draw whip with brass ends to cool the hits, 2 x rechargeable NiMH Glyph batteries, battery charger and a lifetime warranty! Colorado Highlife LLC – Colorado Springs, CO.
Colorado Highlife LLC - All rights reserved 2017 - All content copyrighted - Do not take any information on here as fact. This is for entertainment only. We are not responsible for any of the recommended providers we have listed on the site. The use of these recommended providers is at your own risk!